USPS is being hit with a classic austerity model: politicians, influenced by corporations that fund campaigns and overrun Capitol Hill with lobbyists, undermine quality public services. No member of Congress who takes seriously their oath sworn to uphold the Constitution can neglect the duty to preserve the United States Postal Service. To say that Congress has shirked its duty in recent years would be an understatement of colossal proportions. 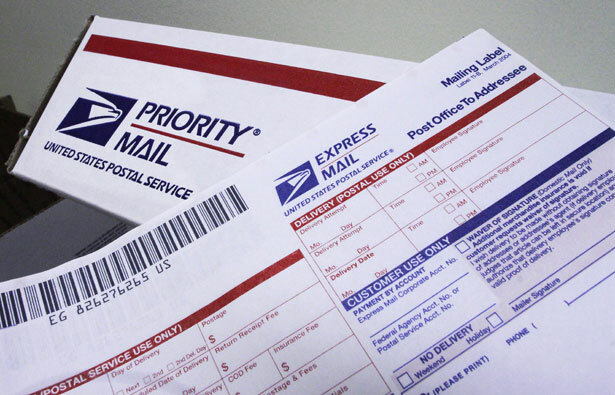 The Republican-controlled House and Senate, working with former President George W. Bush, manufactured a crisis for the postal service in 2006, when they required the USPS to prefund its future healthcare benefit payments to retirees for the next seventy-five years. That’s something no major corporation could or would do, as it required the service to divert more than $5 billion annually to prepay the health benefits of retirees who have not yet been hired. The absurdity of the circumstance created by those requirements, as well as the absurdity of the restrictions that remain on the ability of the USPS to compete, must be addressed by Congress. Congress has backed a continuing resolution that pushes back against the current push to end Saturday delivery, potentially staving off what the National Association of Letter Carriers describes as “a disastrous idea that would have a profoundly negative effect on the Postal Service and on millions of customers.” But this “fix” is only temporary. And there are more threats on the horizon. Proposals have been floated to close thousands of post offices, especially in rural areas. Postal sorting centers are being closed. Plans have been advanced to slash the workforce and to dramatically downsize the USPS. While the scheming to impose an austerity agenda on the postal service has, at some points, been interrupted by Congress, a steady assault on the service continues—urged on by private carriers that hope to see the service decline so that they can, through privatization, take over the most lucrative components of the USPS. This is a classic austerity model: Politicians, influenced by corporations that fund campaigns and overrun Capitol Hill with lobbyists, undermine quality public services. Then they claim those services are not efficient and begin bartering them off to their cronies. It’s pay-to-play politics at its worst, crony capitalism in the extreme. And it does not have to happen. There are sound plans to stabilize the finances of the postal service and to allow it to compete. These reforms will not just ease the current crisis; they will put the service on solid footing to compete in the twenty-first century—as postal services do around the world. The only question is whether members of Congress will side with the public interest in maintaining a strong and innovative postal service, or with the campaign donors and lobbyists who want to carve up the USPS and replace service with profiteering. Responsible members of Congress, led by Vermont Senator Bernie Sanders, are fighting to save Saturday service permanently, and to free the postal service to compete. They’ll be rallying Sunday with postal workers and community activists nationwide—from the smallest crossroads town to New York City—to demand immediate Congressional action. Sanders and his Congressional allies are not just defending a necessary public service. They are upholding their oaths to the Constitution. As the Postal Service is pickpocketed by Congress, millions of Americans are languishing under medical debt. Read Allison Kilkenny's report on Strike Debt's pushback.